We pride ourselves on PCBG’s commitment to making a valued contribution to our community and supporting its charitable organizations.In addition to networking professionally, we encourage social interaction among our members and spouses, by attending group functions, community events, social gatherings, and milestone celebrations of our sponsored partners. We meet weekly on Tuesday mornings (from 7:45 AM to 9:00 AM) at the Parkland Library. Our members pay monthly membership dues of $50, which are primarily used to fund our charitable contributions to qualified organizations. None of the fees are paid to any member for any reason. Membership in PCBG is predicated upon a defined eligibility, application, and qualification process, which is determined by the group’s Management Committee. We invest extensive effort to ensure that each member and the group are mutually compatible. Only one member is admitted to represent each business category or profession. Prospective members are invited to attend three meetings as a guest (at no cost and without an obligation to commit to membership), provided that they are either referred, invited, or sponsored by an existing member of PCBG. After three such visits, a guest who expresses an interest in membership is then guided through the application process. Guest speakers may also be invited to address our membership on relevant topics. Issues of interest may include current trends in related business fields, community affairs, professional education materials, personal development, etc. 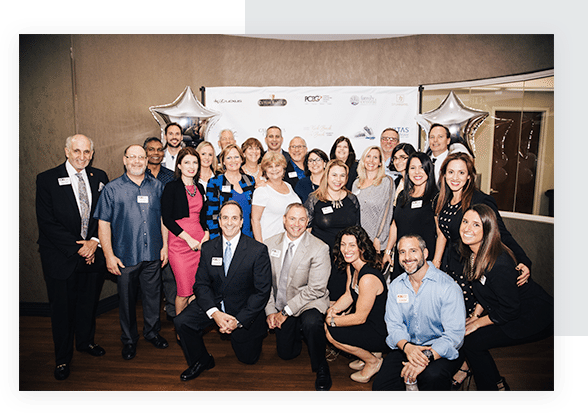 PCBG is a proud member of the Coral Springs Chamber of Commerce. DECA, a global association of marketing students, is the high-school business program that provides leadership training and reinforces specific career skills. The Harvest Drive gives families a complete Thanksgiving meal, grocery staples, as well as personal and household necessities during the Thanksgiving season. The Lisa Boccard Breast Cancer Fund provides funding for screening mammograms and breast cancer treatments. Parkland Buddy Sports is a non-profit organization that offers well-structured sports programs for special needs children and young adults, through a “buddy” system. With a student body of almost 4,000 students and faculty of over 230, Stoneman-Douglas High School is the largest public high school in the area. Tomorrow’s Rainbow is a special place for children that have experienced the death of a loved one, a place where they, often for the first time, feel understood.